The eruption of wisdom teeth marks a significant stage in life. As you reach adulthood, having wisdom teeth is the final stage of your dental milestones. Of all the teeth, wisdom teeth have the worst problematic history; therefore you should prepare yourself for potential complications. 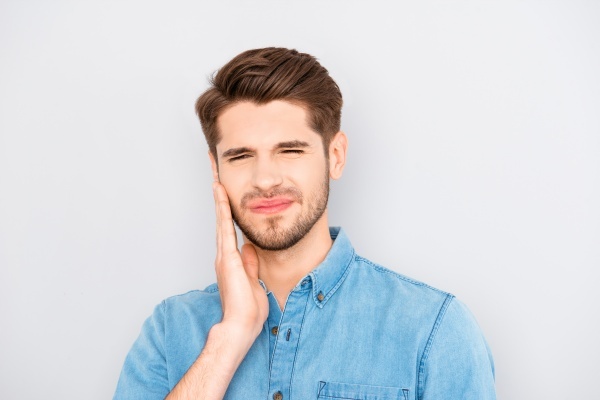 This article covers everything you need to know about wisdom teeth, including the difference between erupted and impacted wisdom teeth. Also called the third molars, wisdom teeth are the last set of teeth to erupt. They form immediately after the previous molars and can vary from one to four; one set of two on the upper and lower jaw. While some may experience severe discomfort and complications with wisdom teeth, the process is entirely painless in others. When a wisdom tooth develops normally, it usually becomes a functional element of your oral cavity. However, there are several cases when the eruption is not seamless, and the tooth becomes impacted. When and why do they appear? Everybody is distinct, but the typical time for wisdom teeth to emerge is in your late teens or early adulthood. Since the average age wisdom teeth erupt is between 17-21 years, the molar is dubbed a “wisdom” tooth. Scientists have been unable to ascertain the real reason for wisdom teeth, but all evidence traces back to human ancestors. In the early ages, they have a different menu, comprising raw, hard items like roots, nuts, and meat. These last set of teeth are believed to have developed as a means of adaptation. The diet we have nowadays makes this final set of molars redundant and unnecessary. Interestingly, some people do not develop wisdom teeth, and scientists believe this is due to evolutionary change. The moment the tooth cuts through the gum and shows up between the skin, it is termed erupted wisdom tooth, which means the teeth has emerged from the gum. The erupted tooth may from perfectly in its position as usual, or they could develop partially and/or become crooked. When making a contrast or comparison of impacted and erupted wisdom teeth, you should note that an erupted tooth has shown on the surface of the skin. This is not considering whether the teeth form correctly or not. If the wisdom tooth does not emerge properly, it increases the chances of getting an infection or dental issue. This set of wisdom teeth, on the other hand, do not emerge because there is not sufficient space for them to develop normally. When the room in your mouth is not enough for the teeth, or if the tooth develops in the wrong position, then the tooth is impacted. Although wisdom teeth develop in most people, only a few experiences perfect wisdom teeth eruption. Impacted teeth mean that something is inhibiting the emergence of the teeth. The wisdom tooth may be caught in your jaw, beneath your gums, or develop wrongly. Request a dental appointment here: https://www.desmoinesdentalcenter.com or call Des Moines Dental Center at (206) 408-8541 for an appointment in our Des Moines dental office. What Can I Do to Replace a Missing Tooth? « 5 Things To Know When Wisdom Teeth Are Coming In?